Andrea Krejci Paradis is a ERYT 200/RYT 500, Ayurveda Yoga Specialist, and Reiki Practitioner and has been teaching since 2007. Andrea believes yoga can help anyone find peace and is accessible to all. During her group and private classes she not only utilizes the teachings of yoga but uses Ayurveda (yoga’s sister science) to show how these ancient practices can be taken off the mat and into every day life. Her unique events like Yoga on Tap, corporate yoga, and weekend retreats have all been created to reveal yoga’s accessibility and to help others realize health can be attained through a mindful lifestyle. 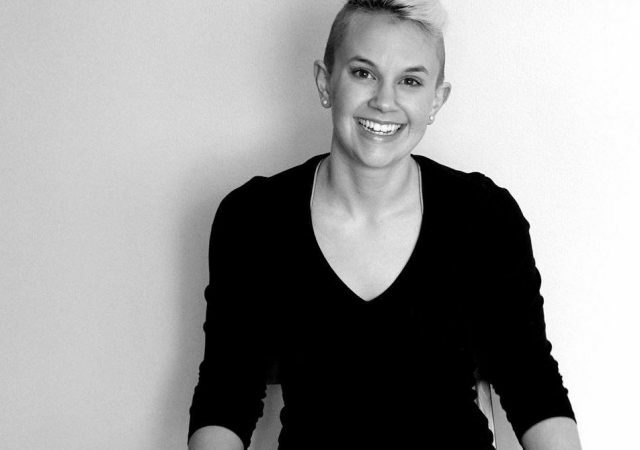 Andrea is our co-lead for the 235hr Yoga Teacher Training satellite program in Fargo, ND.